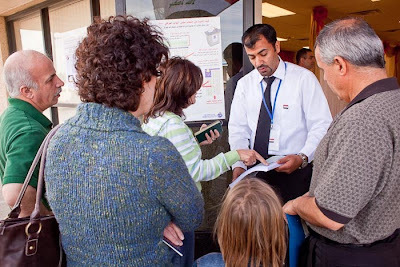 Phoenix has one of the largest Iraqi expatriate communities in the US. As a result it’s one of only eight US cities where Iraqis can vote in their parliamentary elections this weekend. Iraqi elections workers expect up to 6,000 people from several western states to come to their small polling place in central Phoenix to vote. There are more photos of Iraqis exercising their right to vote available from ZUMA Press or from my PhotoShelter archive.